When thinking about relocation, one of the first things that come to mind is the budget. Many are concerned whether they’ll be able to pull it through. However, if you learn some cheap tricks, you’ll have a successful move. Relocating on a small budget is actually more than possible. All you have to do is a few of handy tricks we are about to give you. 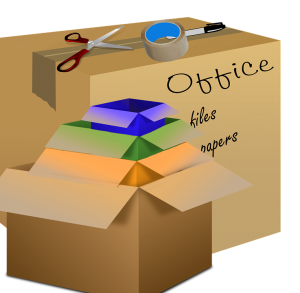 Hopefully, by the end of this article, you won’t have any issues to deal with your moving process. How to manage relocating on a small budget? The list you’re about to see contains some practical pieces of advice. Of course, you’re free to adjust them to fit your needs. We suggest you read them carefully and see how you can apply them to your particular case. Who knows, maybe some of them will actually inspire you to come up with your very own trick. Make a good plan when relocating on a small budget. For any project to be successful, it is quite necessary to think it through. This is important especially if you are dealing with something like this for the first time. This means that you are supposed to take some time to consider each and every step – from the initial one, until the last one. This is beneficial on many levels. First of all, you will always be aware of the progress you’ve made so far. Second of all, you will be able to foresee potential mistakes. What is more important is that you will be able to react timely. Now, when it comes to things like these, a fast reaction is something that can truly save the day. 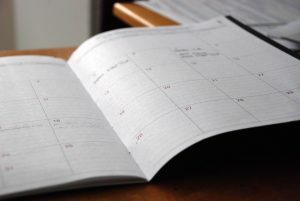 Your plan, among other things, should contain the exact and precise dates. It would be wise to divide obligations by days. It this way, it will be so much easier to deal with so many things ahead of you. To make it easier, you can get some free printable checklists online. 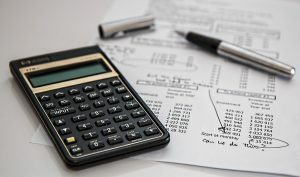 Make good calculations when it comes to creating a budget. One of the most important things when relocating to a small budget to keep in mind is that you should never fall under it. If you do that, then you’ll make your relocation even harder. Therefore, stick to a previously made plan, respect the limits of the budget and you should be fine. Nothing will help you to move on a tight budget than finding a cheap moving company. Such company will be able to meet your needs. They will surely offer you the best possible deal in order to help you conduct the project until the end. Therefore, do some research and see which company is the one that can be a reliable partner in this adventure. With them, by your side, you will surely receive useful guidelines especially if you’re preparing for a long distance move. One way to check the reliability of moving companies, you can turn to someone who has had experience with moving. In case you don’t have anyone to ask for something like that, we suggest you refer to a review page of selected companies. There you can read what other people can say about the received service. This is a step where many fails. In order to avoid making typical packing mistakes, it is important to be systematic. Also, it is important to let go of things you essentially don’t need. To determine what is something you will pack and what is something you will leave behind, it is necessary to create a packing list. Remember sticking to plan mentioned in the beginning? Well, your plan should also contain this detail, too. Once you decide on what you’re going to pack, that’s it! Don’t fall into you’re a trap and change your mind all of a sudden. Or you can do it but be prepared to pay more. You see, the more boxes you have, the more space you’ll need in a moving truck. This further means you will eventually need to pay more than you might have planned. Relocating on a small budget is also possible if you save some money on packing supplies. This tip comes in combination with the previous one to know how to pack. The better you do, the fewer bags and boxes you’ll need. Still, we suggest you get a bit more of packing supplies. Just in case. For instance, before you start looking elsewhere, look for packing supplies you might already have in your house. This will cut your moving costs so much you’ll be happy you had saved those old boxes. However, please inspect those boxes in order to make sure they are in good condition. After all, your belongings will be in them. We are sure you don’t want anything bad to happen to them while being transported. Make a good use of cardboard boxes and other things you have around your house. Is the vehicle the size you need? Are you able to control the vehicle properly? One more thing to with which you absolutely cannot make compromises about is having a moving insurance. Only this will guarantee that you will get a compensation in case of a damage. So, when relocating on a small budget, make sure not to skip this step. Hopefully, these tips will come in handy when the time for relocation comes. Just remember that you should stick to a plan and pay attention to your budget.